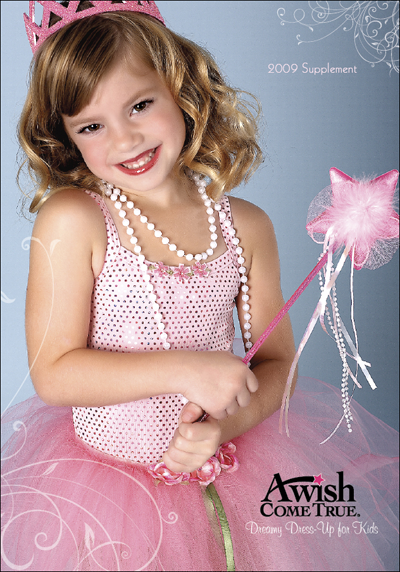 Dress-up a child's fantasy playtime with whimsical costume apparel and accessories from A Wish Come True. Our award-winning products have been proudly manufactured in the USA for over 15 years and use the finest fabrics and trims to create truly sophisticated dress up apparel. Nationally renowned retailers like FAO Schwarz and Bloomingdales carry our clothing. Sizes range to fit from 3 months to 8 years. Call toll free 1-800-755-2248, for more information about our award winning products or to request a catalog!